The reason I chose this recipe instead of the one of the many others on the web, was because it has a 5 star rating from 1038 reviews. How could it not taste good with that kind of rating? Place ribs in a large pot with enough water to cover. Season with garlic powder, black pepper and salt. Bring water to a boil, and cook ribs until tender. Remove ribs from pot, and place them in a 9×13 inch baking dish. Pour barbeque sauce over ribs. Bake in the preheated oven for 1 to 1 1/2 hours, or until internal temperature of pork has reached 160 degrees F (70 degrees C). I didn’t follow this recipe exactly. Instead of bringing the water to a boil, I turned the burner on low and just let the ribs cook for about 4 hours. I also poured a whole 18 oz. bottle of Stubb’s Hicory Bourbon BBQ Sauce over them instead of 1 cup. WOW, these ribs were so tender! I’ve never had ribs that were that tender before. They tasted really good. We loved them and I’ll definitely make them again. I’ve added this recipe to my list of favorites. The next time we have a family get together, these are definitely going on the menu. Best ribs I’ve ever had!! There were a few ribs left, so the next day I made a sandwich with colby/jack cheese and pickles. Yummy! You did well with that one! I always make tweaks in a recipe too and these sound great. We also like Stubbs. 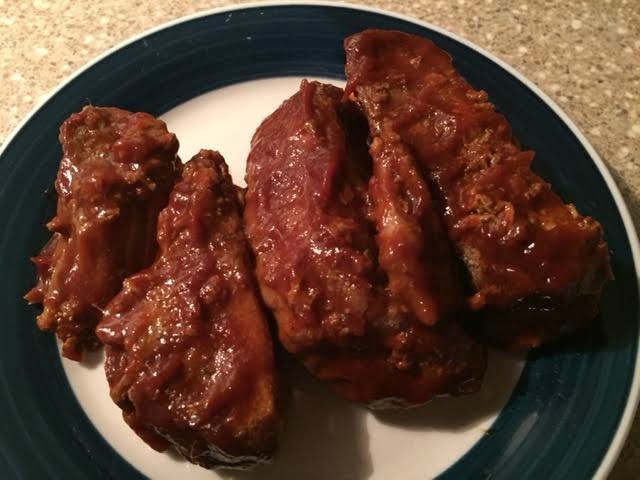 My mom always boiled ribs before baking them or putting them on the grill and hers were super tender too. That must be the trick. My uncle (the family rib maker) used to boil his before grilling — I’m going to give this recipe a try. How could you not do a recipe with so many good ratings. Tender ribs are the best. Vicki, I’m glad you enjoyed these! They look so delicious. 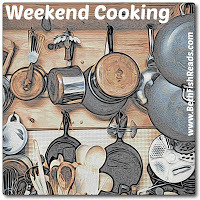 I also “tweak” recipes at times–I guess we are both “seasoned” cooks. Have a wonderful weekend! I used to make a similar recipe when our sons were home, it makes the tastiest ribs and so easy too. Simple is often better, boiling the ribs is a southern custom, but I like the idea of cooking on low. This actually sounds too good to be true – super easy AND delicious! I have to give this a try. I like your idea of slowly boiling them. It seems like the ribs would get tough with heavy boiling. I’m so glad you share this recipe.